- For a complete list of our classes and how to sign up online. - Trainers are experts at holding you accountable. Come see why ours are good. - Your child will be well-cared for while you enjoy your workout. ...Fuel Fitness on Cross Keys Rd. (behind Dunkin Donuts/Hollywood Tans) is for men and women of ALL fitness levels. FINALLY... A unisex gym in Sicklerville that will meet all of your fitness needs. We are professionally managed, with some of the best equipment on the market! We have no affiliation with the previous fitness center that occupied the space we are in. It's been totally re-modeled, re-energized, has new equipment AND new owners! 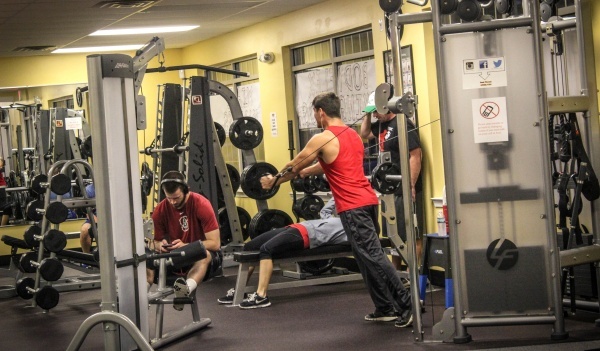 We have over FIFTY classes a week at all hours of the day/night for those who love working out in a group setting, as well as cardio equipment, strength machines, weights, and much more for those that prefer to do it alone! **Personal Training and the authentic TRX Training are also offered! **All of the best fitness equipment and crazes/classes right in your own backyard! Why waste gas and time driving miles away for a great workout! And we've got the cleanest facility you'll ever workout in!!! That's a promise! Trial Memberships & Fuel Passes available! ALL classes FREE with Full/Class Membership! Check out our videos & pictures on our Facebook page! Our LifeCycle Indoor Bikes alone are the newest on the market and the BEST in all of South Jersey! All of our instructors are not only the BEST in the area, but each one holds current certifications. They are fun, energetic, and passionate, ensuring that you get the best workout possible... whether you are at a beginner, intermediate or advanced level! Come check them out!